The parent company of Liberty Home Equity Solutions received key approvals from government regulators in its blockbuster deal to acquire fellow mortgage lender PHH Corp (NYSE: PHH). Ocwen Financial Corporation (NYSE: OCN) on Friday announced that it has met all of the regulatory and contractual obligations necessary for it to formally take over PHH Corp., with a closing date expected within the next 10 days. The West Palm Beach, Fla.-based company first announced its plans to buy PHH in a $360 million, all-cash deal back in February. 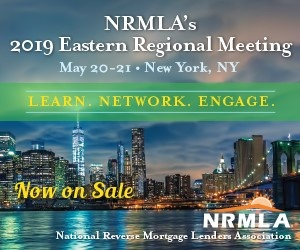 Some of the regulatory sticking points came from lingering restrictions regarding its ability to acquire new mortgage servicing rights in the state of New York. Under an agreement with the state’s Department of Financial Services (DFS), the newly merged Ocwen and PHH will be able to increase its portfolio of loans in New York by 2% each year until it successfully completes a transition to a new mortgage servicing system. Replacing the old REALServicing platform was a central requirement of its deals with multiple states in the wake of widespread servicing and origination restrictions instituted over the course of last year. In addition, for the three years after the closing, the DFS must approve any new board members or senior managers appointed at the company. Ocwen originates reverse mortgages through its Liberty subsidiary, which it had explored selling late last year; the company elected to retain its Home Equity Conversion Mortgage division around the same time it announced the PHH deal.